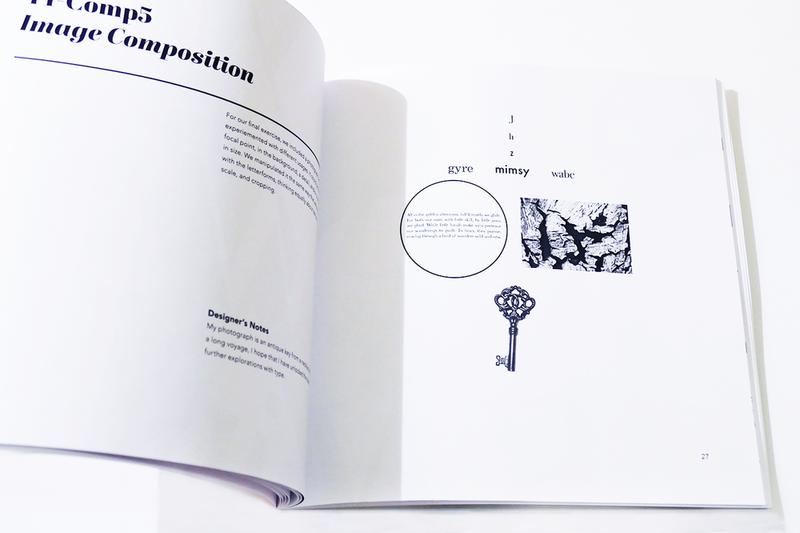 A book of typographic compositions exploring multiple concepts of composition, including scale, balance, contrast, texture, and movement in order to communicate beyond the letterforms. Words and text are from Lewis Carroll's Alice in Wonderland, including an excerpt from the poem All in the golden afternoon, in which Carroll writes, "To begin it, there will be nonsense in it! ".